Original cabinet photo (6 5/8" x 4 3/8") or (10,8 x 16,5 cm.) by Bergamasco, this photo is original, no reprint, in fair condition considering the age, photo show traces of bending at the top. 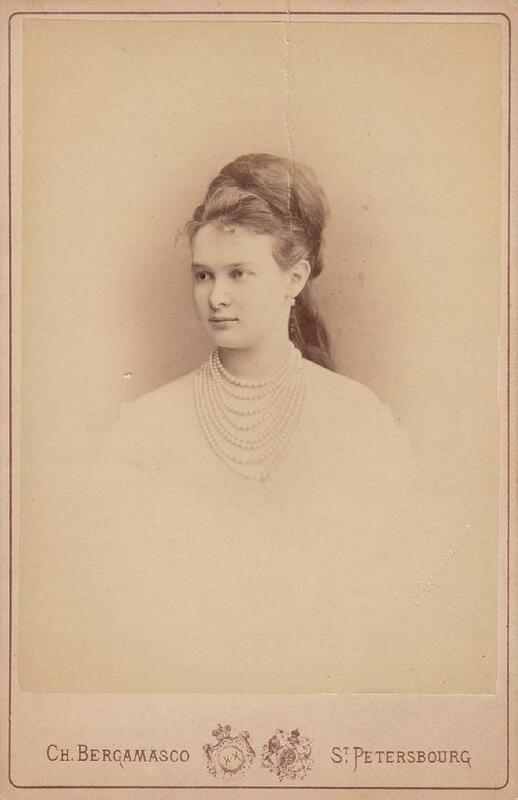 Grand Duchess Maria Pavlovna of Russia. 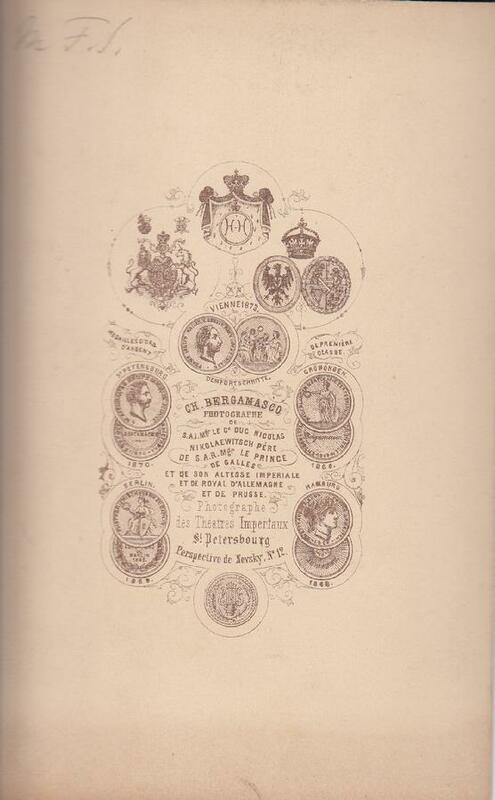 Grand Duke Vladimir and his wife were both witty and ambitious. They enjoy entertaining and their residence in St. Petersburg became the heart of the Imperial capital social life.The cabinet card of the Gran Duke has two bumps. The cabinet cards measure 4 1/4 inches by 6 1/2 inches. Both images are lightly soiled, else, fine.